Sometimes we make coloring a lot harder than it needs to be – too much panic about colors, shading, scenes, etcetera! In today’s video I’ll provide a little peptalk for the coloring-challenged….because if coloring stresses you out, you’re doing it wrong! 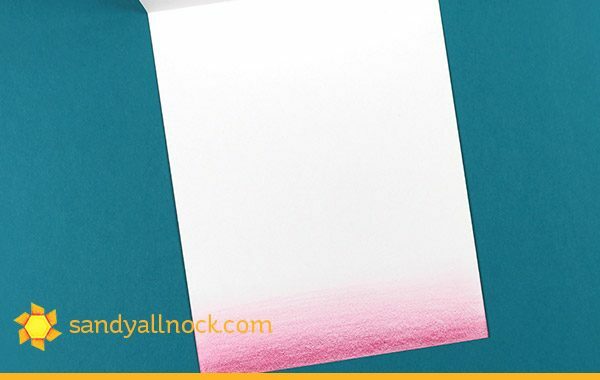 This simple card – one layer – shows just how simple a scene can be. Little additions like the placement of the image and a haze of grass…not a ton is needed to create a super sweet card. Just for a little fun and unique-ness to the card, I trimmed a little from the front panel, letting the inside show through…and then created a haze of the color of the girl’s dress to coordinate with the picture. PSST: If you need pics to pin, the second swingset video is over at MFT – and it’s a Copic #humanrainbow video! Click HERE to see it on their blog! Love the simplicity of this project and how you make it come alive. Your work always inspires me to push the envelope to try new things. 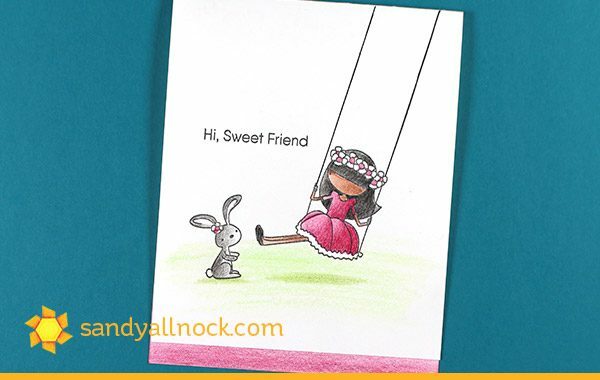 Gorgeous card Sandy and great colouring tips. Thank you so much for showing and have a great weekend.